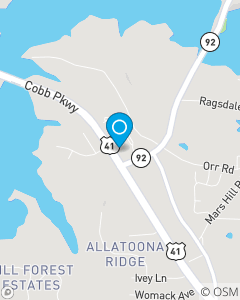 We focus on Auto Insurance, Home Insurance and Life Insurance throughout the Acworth, GA area including all of Greater Atlanta. State Farm's mission is to help people manage the risks of everyday life, recover from the unexpected and realize their dreams. In a world that is everchanging and busy, it is our aim to ease the stress that can come with Insurance by putting a premium on personalized service. It is this belief that stands behind everything we do. Over 70 years of combined experience providing excellent service to our policyholders. Over 30 years experience as a team member.